The race started with an amazing weather change this morning in the wonderful Seathwaite Valley, start courtesy of Pete Edmondson at Seathwaite Farm. After a picturesque start in the Seathwaite Valley the runners headed up Sour Milk Gill to take in the summit of Green Gable and descend to Windy Gap. 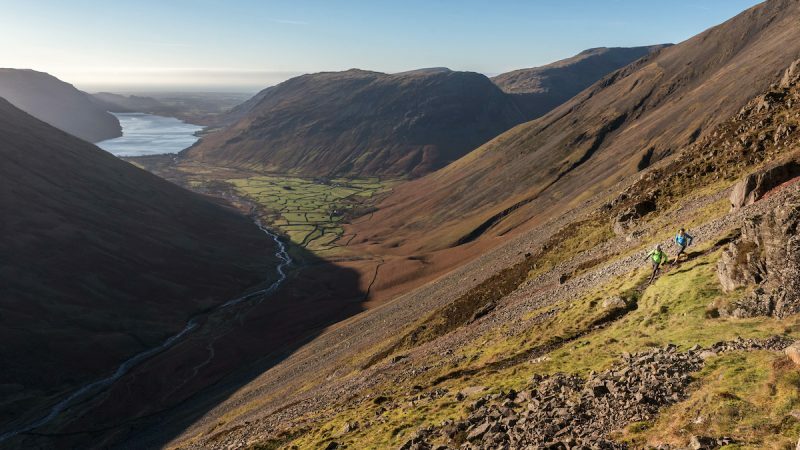 Taking Moses' Trod they then took the ultra technical track circumnavigating Great Gable to run under the birth place of British Rock Climbing, Napes Needle and then using the Corridor Route up onto Scafell. The mens race has been fought for by Tim Campion-Smith (2nd place in the recent V3K) and George Foster (racing for Team Mountain Fuel). Both Tim and George are on the ascent to Harrison Stickle, passing the epic Dungeon Ghyll on way. 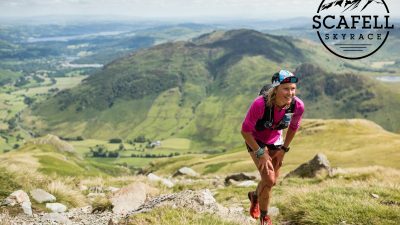 The women's race has been controlled by visiting Salomon runner, Lucy Bartholomew, with local Keswick AC runner, Catherine Spurden chasing hard with a 4 minute gap. Both men's and women's leaders are though the Old Dungeon Ghyll Feed Station. Want to keep up with the action?